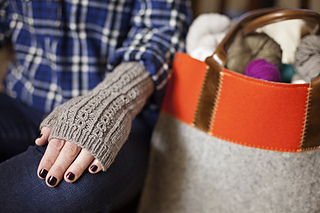 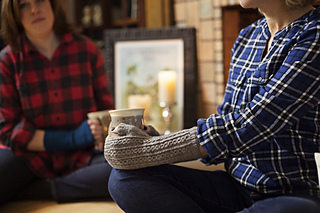 The winter winds might be howling, but your hands and wrists can be cuddled in cashmere! 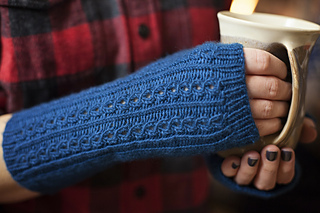 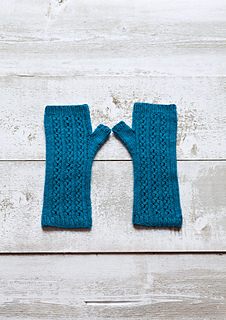 Knit in a Plucky sport weight yarn, these fingerless mitts are light and lofty, but still decadently warm. 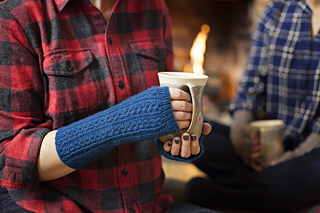 They are knit in the round, with cable details on the tops and a simple thumb gore, sure to keep all your digits nice and warm.